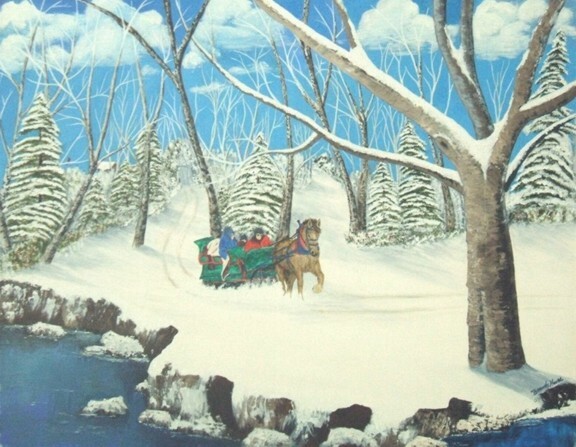 A 24 x 30 oil painting of a sleigh ride to? Grandmas? Maybe. It is for sale for $700. The snow has sparkles that are seen only in the original.